Special offer for roundtrip transfers: starts from 20,000 THB (maximum 5 people), according to your flights’ schedule. The hotel is 7 minutes away from Koh Phangan’s Thongsala Pier. Do not hesitate to contact us for more information. As you will go around the island to visit our local paradise, we recommend to pre-book your scooter with us to go around and ensure availability at your arrival at the resort. The scooters are in a perfect condition and maintained daily to ensure proper safety and come with a set of helmet. 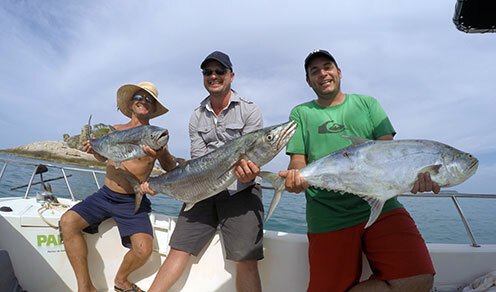 A professional French Fisherman and his Thai partner, an outrageous team to help you catch the biggest local species: trevally, king mackerel, barracuda, cobia, ray… and the king swordfish.